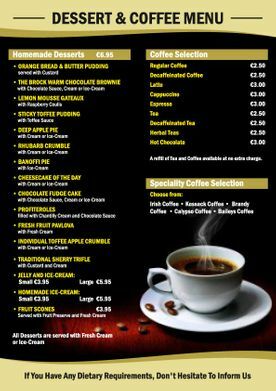 One of the best known and respected family-run pubs in north county Dublin! Situated in an area steeped in sporting traditions and at the heart of the vibrant farming community of north Dublin. 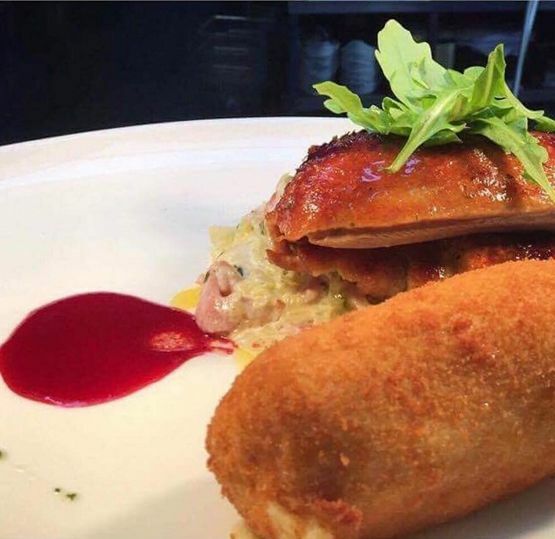 A landmark bar and restaurant located just minutes from Dublin airport on the N2, and only six miles from Dublin city centre it has traditionally been a stop off for many GAA fans travelling to Croke Park to support their heroes’ (the Dublin and Meath rivalry is legendary in the area). 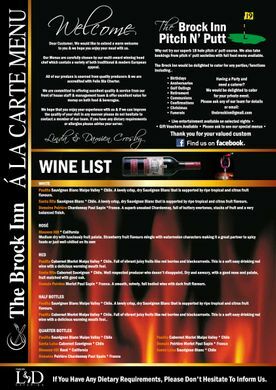 Interested in booking a table at The Brock Inn? Give us a call! The thatch Pub was originally owned by the Mc Guinness Family and managed by Jimmy Mc Guinness and his wife up to 1952 when it was taken over by Tom and Elizabeth Farrell. (Lizzy – being a niece of the then proprietor). 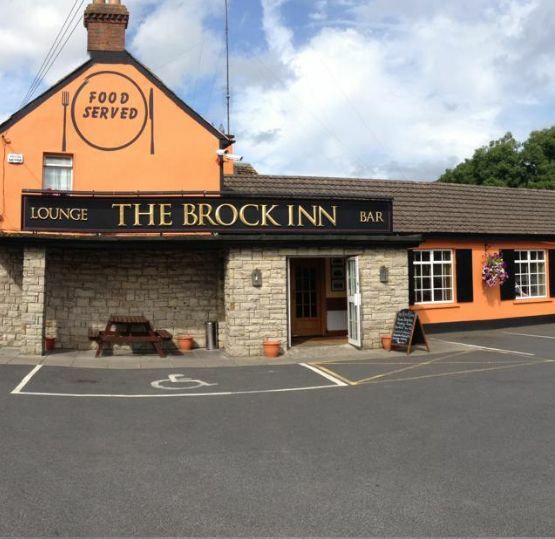 The thatched roof had been removed at this stage and later the premises was renamed The Brock Inn. 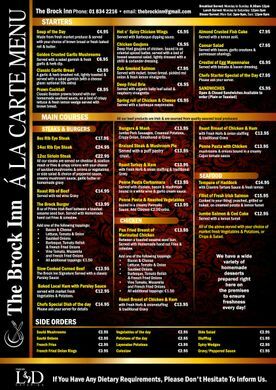 The Brock Inn gets its name from the nickname for a Badger (Meles meles) “Brock” and is situated at a place allegedly famous for a large Badger colony in the early 1900′s thus, “Brock Inn” Place of the Badger. The badger setts were located on the slope of the hill south of the Pub known as Broghan hill (an area sometimes referred to as Brocan or Baile Brocan – Town of the Badger), today Broughan. Local blacksmith Jem Wade’s Forge was situated at the top of Broghan Hill on the west side of the N2 and when horses were shod or cart wheels repaired at the forge the hospitality of the Brock was frequently sampled. Through time and with the increase in motor traffic on the old N2 amongst other factors the colony of badgers declined and the land returned to crop production and pastureland. 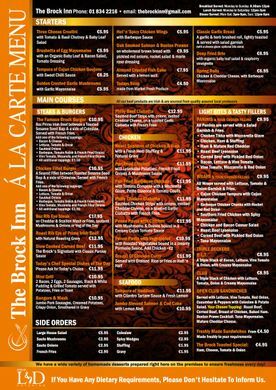 These lands now boast one of the finest Pitch and Putt courses in Dublin which adds to the attraction of the Brock Inn. 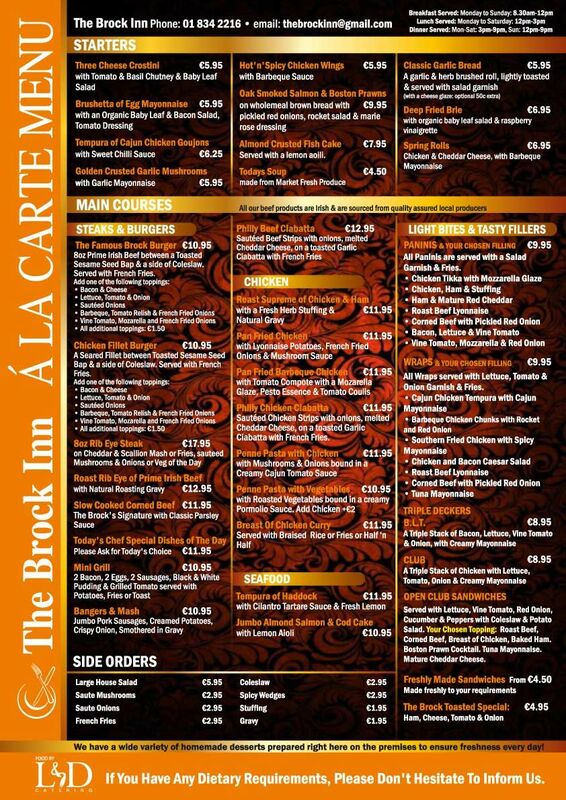 The Brock Inn is now in the hands of the second generation of the Farrell family and Ger and Mairead are committed to maintaining the renowned high standards of the “Brock” by offering excellent quality food and drink in pleasant and friendly surroundings. To this aim the food operation is now run by the dynamic multi-award winning chef couple – Damien and Linda Crosby (L&D Catering) who are fully committed to sharing Ger and Mairead’s ethos of fine food and drink at affordable prices. 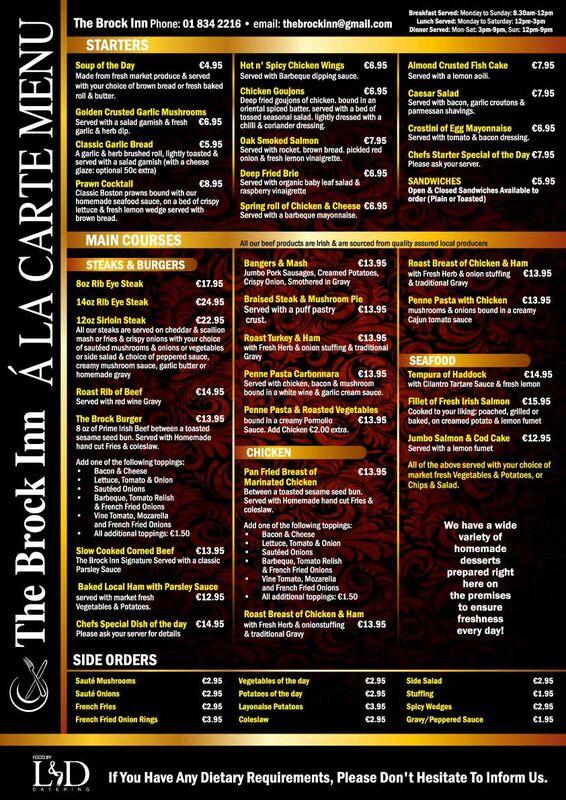 The Brock Inn caters for small or large groups (up to 150) in the lounge area or (Broughan Room) for functions or other occasions, where all needs are catered for. The Broughan Room is also available for meetings, seminars or training events. Why not try our superb 18-hole pitch ‘n putt course. 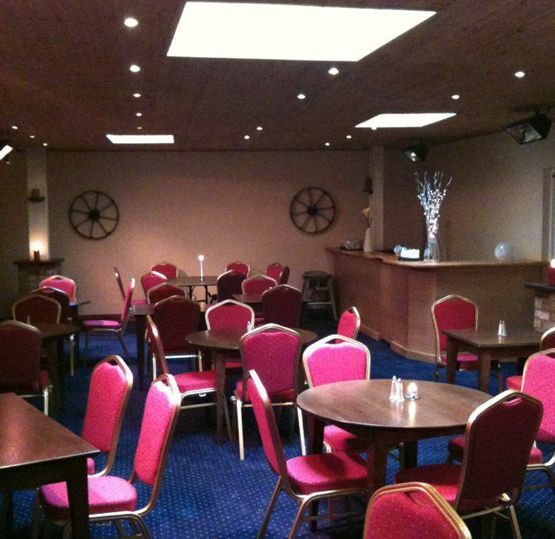 We also take booking from pitch ‘n putt societies with full food menus available. If you’re interested in playing on our pitch ‘n putt course give us a call.
" Can't wait to go home and hit the Brock! 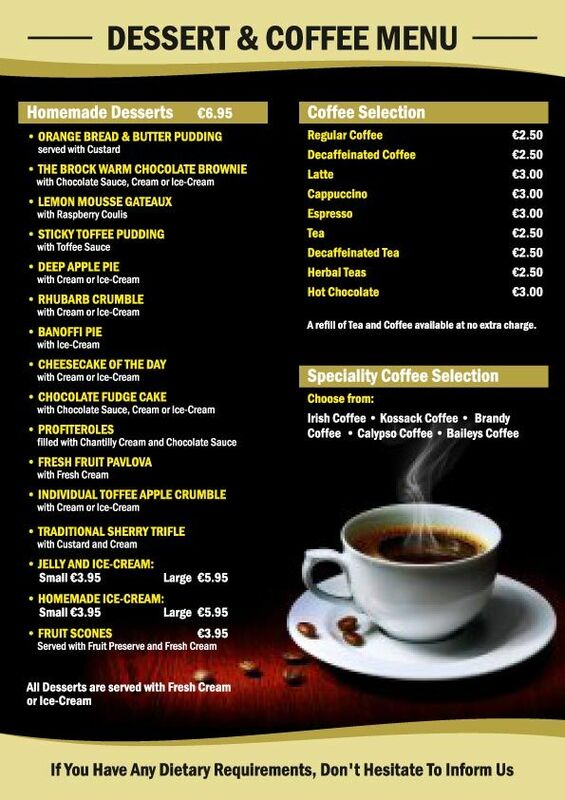 Breakfast, lunch or dinner you cannot beat it for delicious, over generous portions at best price in town!" 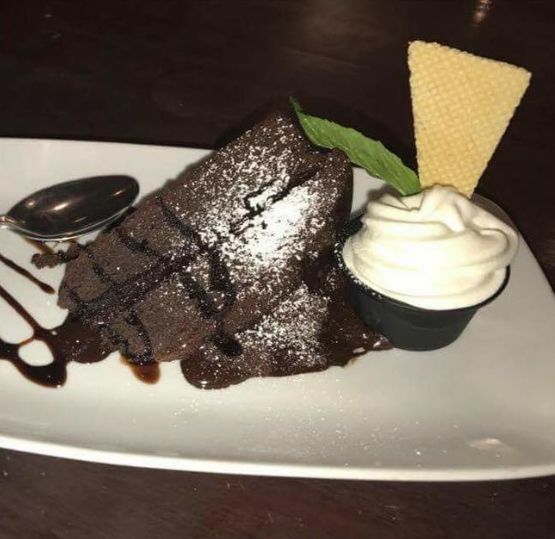 " Fabulous food service and staff could not fault it first time going today "
and something else with an amazing sweet chilli sauce! The best!" level of excellent customer service. 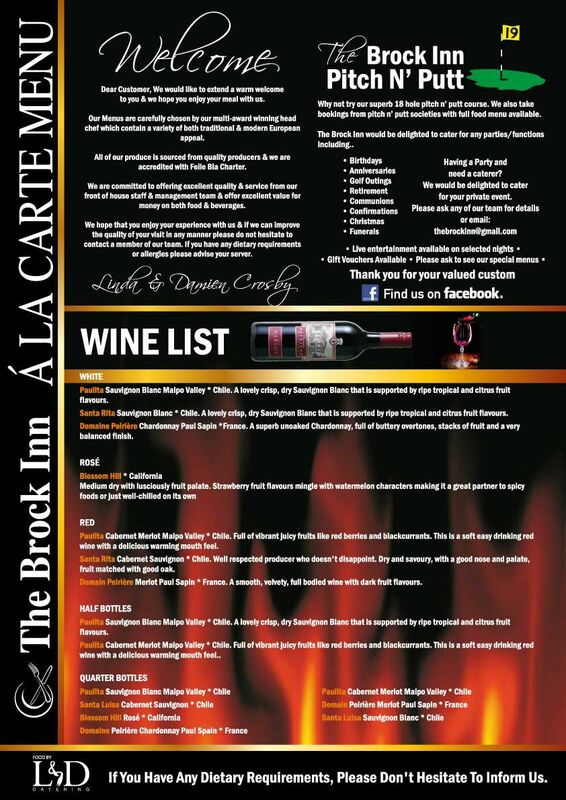 Highly recommend The Brock Inn."